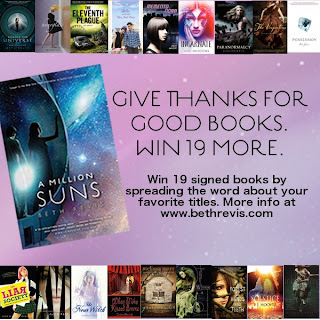 Beth Revis, author of the YA book Across the Universe & its upcoming sequel A Million Suns, is hosting a Thanksgiving giveaway for -get this- 19 YA BOOKS! In order to participate you need to create a post featuring the ONE book you are most grateful for. For me, this "one book" is The Chronicles of Narnia by C. S. Lewis (which is apparently Beth's favorite too. And yes, I read all seven stories in one book -the one shown on the right). I read these stories for the first time as an adult, in my early twenties. I am so glad that I did. If I had read them as a child, I would have thought them to be nice, enjoyable fantasy stories, but to read them at the time I did, as the person I was then, was simply perfect. The impact they had on me was tremendous. The stories were richer and deeper to me than they ever could have been otherwise. I found myself applying the principles and refering to the doctrines of these stories in my daily life, at work, at church, at home. This is why I consider The chronicles of Narnia "the one book" I am most grateful for. Since this is Thursday's Quotables, I'm going to share two quotes from one of the stories, namely, The Last Battle. 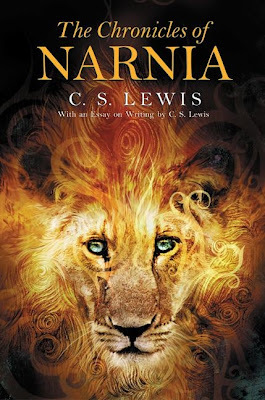 Now, each of the Narnia stories is amazing and beautiful and has many quote worthy lines, but the ones that come to my mind initially are found in The Last Battle, the final book in the series. Because The Last Battle is a summation and really the pinnacle of all the prior stories, if I had to choose my one favorite out of the seven, I would choose this one -though with the understanding that The Last Battle would not have the impact it does without the happenings and significance of the stories before it. With that said, below are two (rather long) quotes from The Last Battle (an a drawing by me!). If you have not read The Last Battle, you may want to avert your eyes now from ***potential spoilers***. 'Beloved,' said the Glorious One, 'unless thy desire had been for me thou wouldst not have sought so long and so truly. For all find what they truly seek.'" "And as He spoke, He no longer looked to them like a lion...And for us this is the end...But for them it was only the beginning of the real story. All their life in this world and all their adventures in Narnia had only been the cover and the title page: now at last they were beginning Chapter One of the Great Story which no one on earth has read: which goes on for ever: in which every chapter is better than the one before." I love you illustration. It fits the quote very beautifully. Thank you! I drew it a long time ago, after I finished reading the stories for the first time. Thank you for this beautiful illustration. These have been my favorite books since a teacher read The Lion, the Witch and the Wardrobe to my class in third grade. I ordered all 7 books as soon as I could. 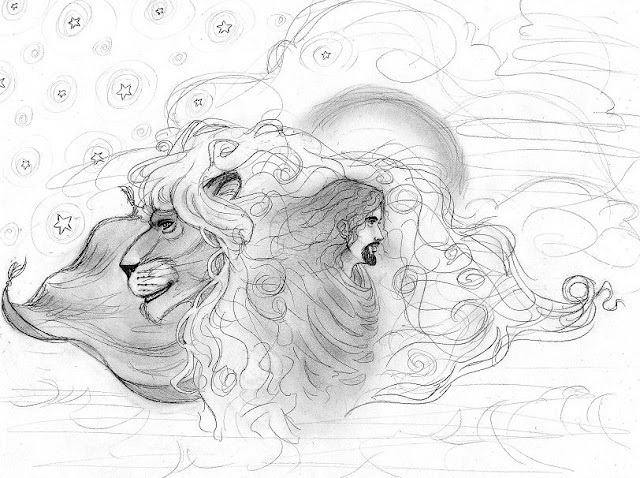 I reread The Lion, the Witch and the Wardrobe on the 8 hour drive to where I went to college. I and rereading them yet again in the same book you read them from. They have profoundly impacted my life (I am currently 37. Thank you for your response. I agree that these books are impactful no matter what age; third grade or 37. That's part of what makes them so beautiful!